Looking for some simple decorations for your Christmas tree that you can also eat? 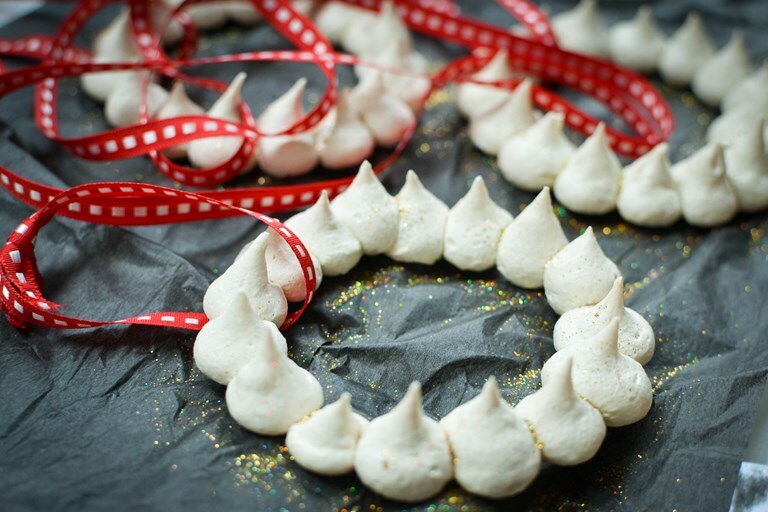 Urvashi shows how these Baiserringe – German meringues that are fun to make and look very cute, too. There are so many memories in the box and as we talk through them I get rather emotional and tearful at the thought that one day they’ll be doing this in their own home and all their little decorations will be no more on our tree. 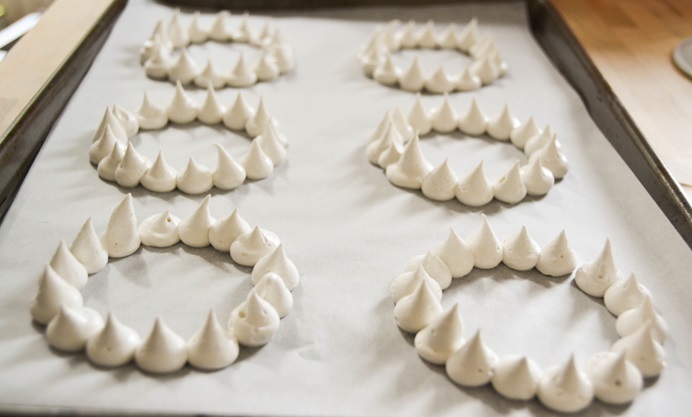 This year I have decided to make edible ornaments as I’d like to put a recipe in their boxes. Perhaps they’ll enjoy making them with their own children one day. 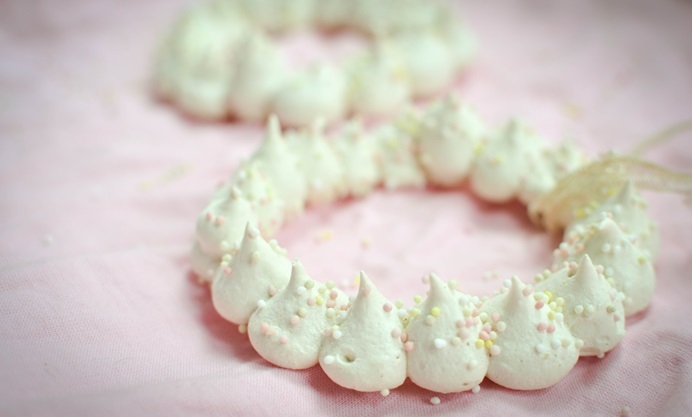 I opted for these little wreaths made with meringue. They are from Germany and are called Baiserringe.